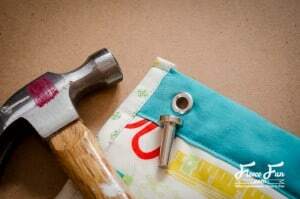 This easy to make craft room hanging organizer tutorial is perfect for storing materials. 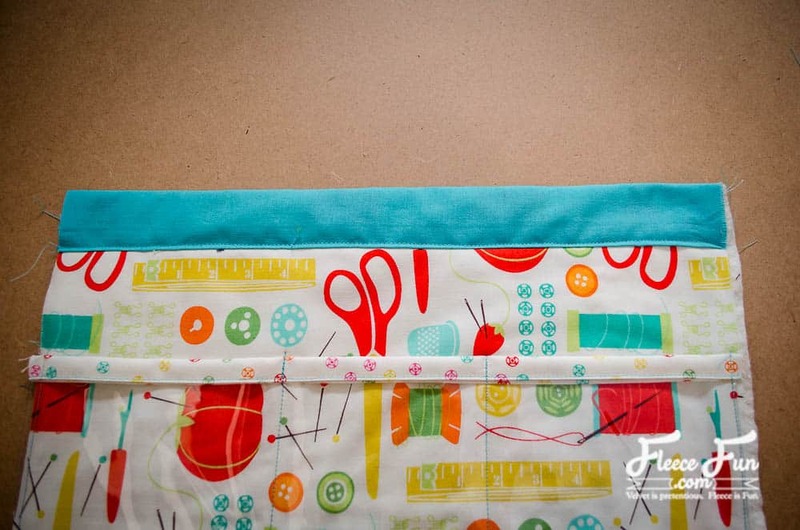 With clear pockets and cute fabric you can see your tools and decorate your sewing / craft space! 1. 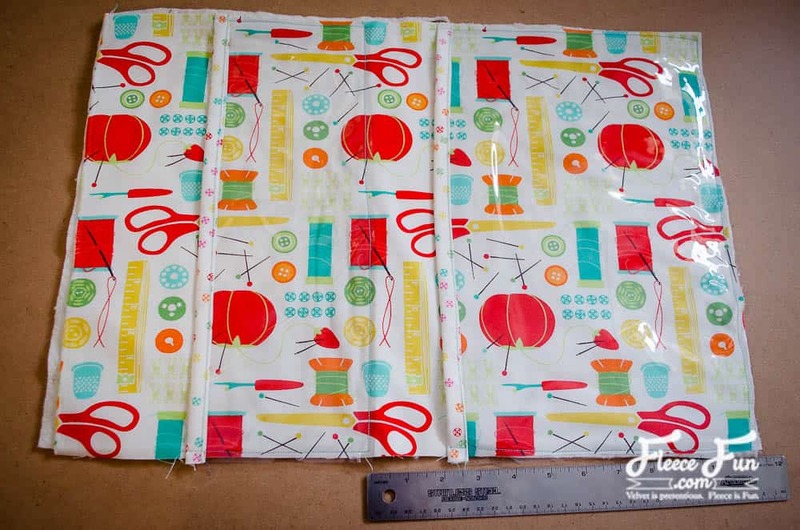 Cut a rectangle 14″ x 20″ out of the backing, batting, and main fabric. 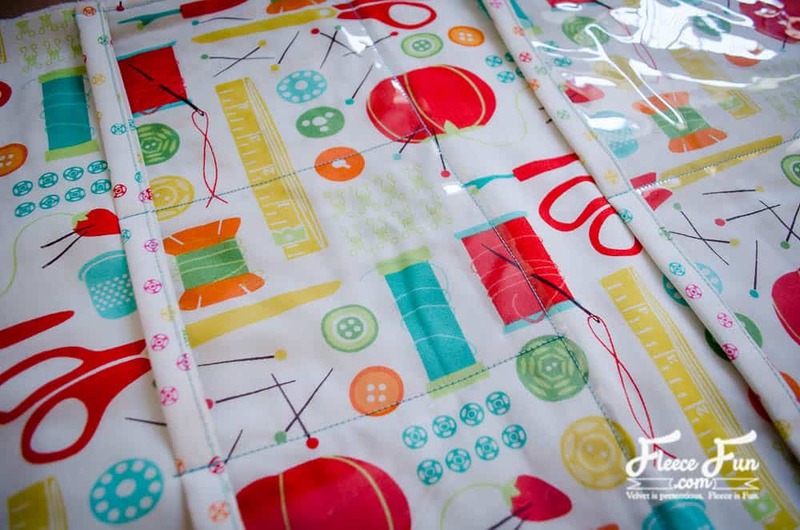 Optional: use spray adhesive to keep the layers together as you sew. 2. Cut two rectangles out of vinyl (one 5″x 14″, one 9″x 14″). 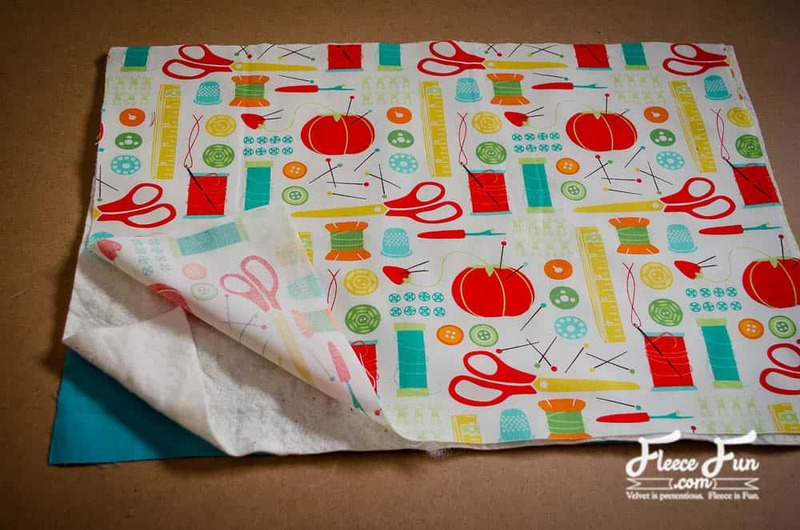 Finish one 14″ edge with bias tape. 3. Align larger vinyl rectangle with the bottom edge of the main panel. 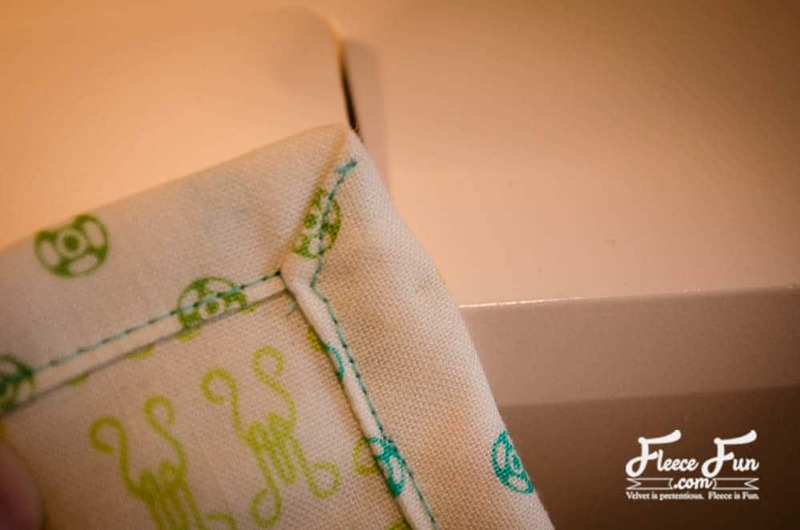 Baste it in place along the side and bottom edges to form a pocket. 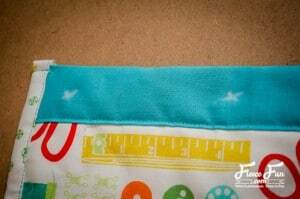 Place the smaller vinyl rectangle 2″ above the lower pocket. 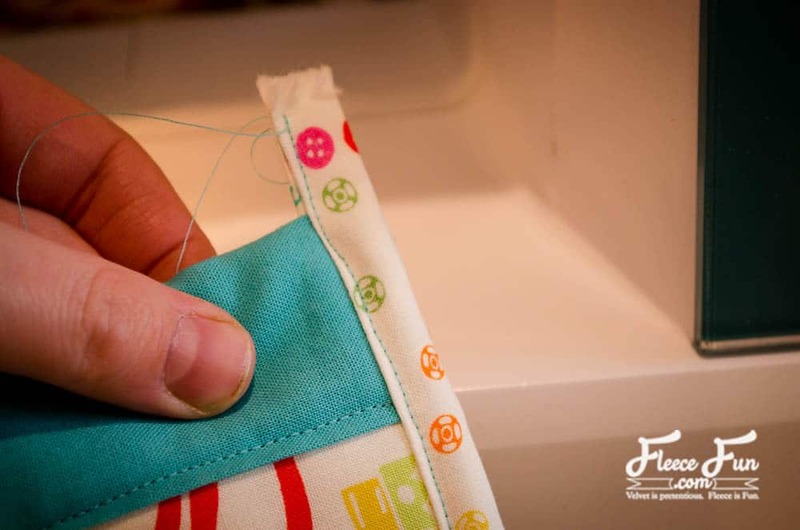 Sew around the two sides and bottom. 4. Divide the smaller pocket into three with 2 lines of stitching. Be sure to backstitch well at the top of the pocket. Divide the larger pocket into 2 in the same manner. 5. Cut a strip of backing fabric 4″ x 14″. This will be the topper of the organizer. 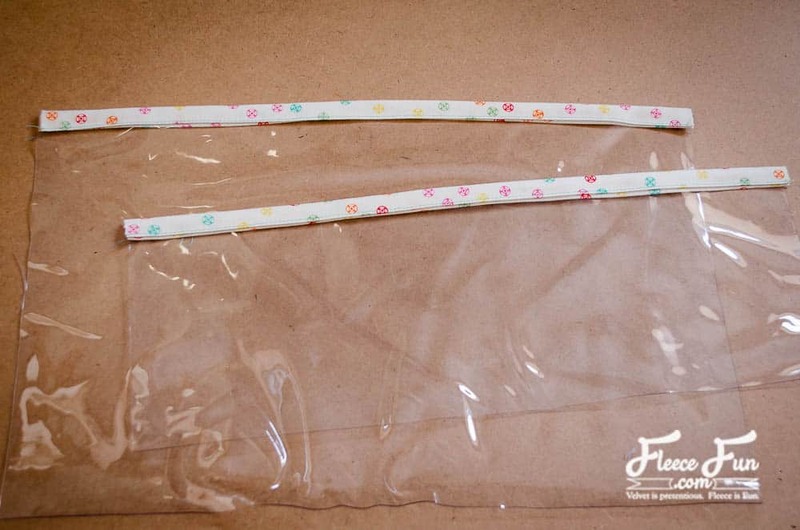 Fold under each long edge by 1/2″. Fold a crease down the middle. 6. Sandwich the topper over the top of the organizer. 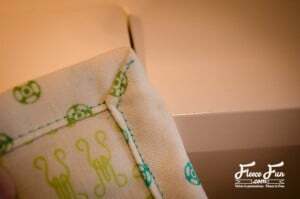 Stitch in place close to the folded edge. 7. 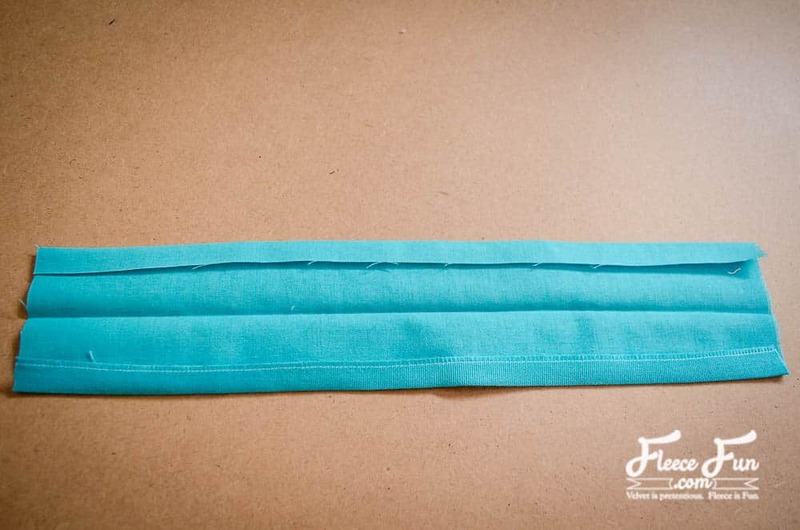 Finish the remaining three raw edges with binding. Leave a 1/2″ tail at the beginning and the end. 8. To create a nice mitered corner, stop stitching 1/2″ before the corner. 9. 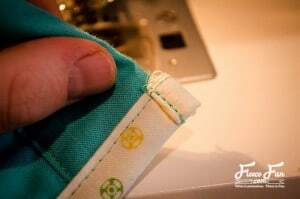 Fold the binding over to create the angled corner. 10. 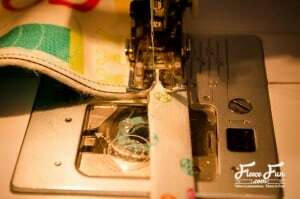 Stitch along the angle and pivot to continue applying the binding. Repeat with the second corner. 11. 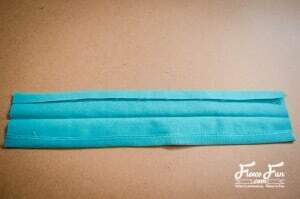 Finish the tails by folding over twice to the back side and stitching in place. 12. Mark the placement of your grommets. 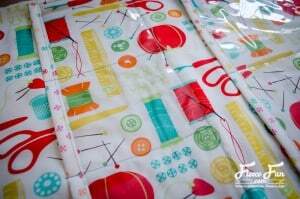 I chose to do 7 approximately 1.5″ apart to line up with the pegs of my thread holder. 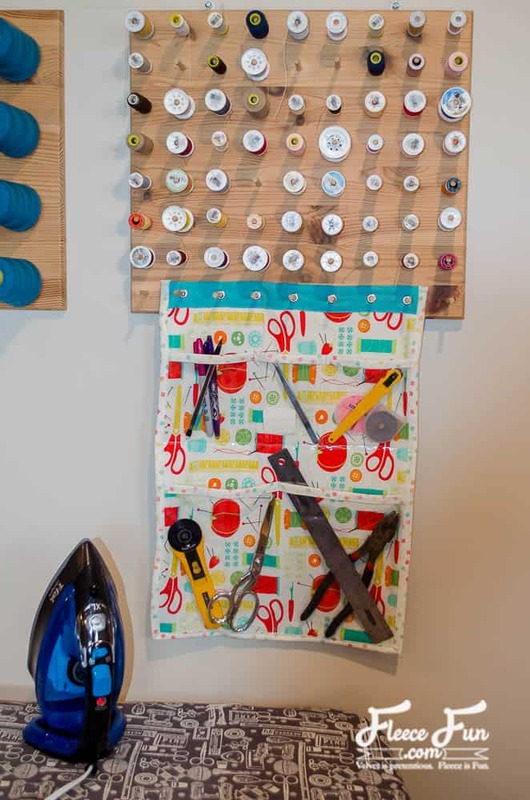 Alternatively, you can hang it on peg board, or use command hooks to attach it to the wall. 13. 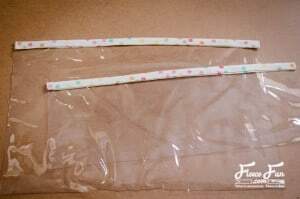 Apply the grommets according to the manufacturer’s directions. 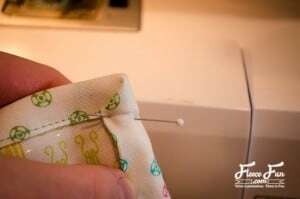 Buttonholes would also work if you do not want to do grommets. Hang it up, fill it up, and enjoy!